Is the "carbon bubble" wobbling in the face of a new assault? A paper in the journal Nature has lent support to the notion that combating climate change and developing more fossil fuels are mutually contradictory. Its key message is that keeping global temperature rise within 2C means leaving in the ground 80% of known coal reserves, 50% of gas and 30% of oil. The University College London authors invite investors to ponder whether $670bn, the amount they say was spent last year on seeking and developing fossil fuels, is a wise use of money if we can’t burn all the fuel we’ve already found. The movement to divest from fossil fuel companies is being prompted by the small but increasingly influential NGO Carbon Tracker, which argues that investment has created a carbon bubble of fossil fuel assets that will be worthless if climate change is taken seriously. 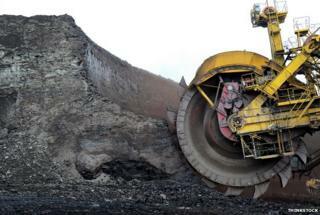 The managers of the Rockefeller fortune have heard its message and already divested from coal. The University of Glasgow’s investment fund will avoid fossil fuels altogether. NGO 350.org is gathering support for a similar campaign in the US, and Norway’s vast government pension fund is seeking to pressure companies to take their climate responsibilities more seriously. Surprisingly, the Bank of England has also chipped in. It is conducting an enquiry into the risk of an economic crash if future climate change rules render coal, oil and gas assets worthless. The findings will be interesting; even if the enquiry team are alarmed by the potential extent of stranded assets, they can hardly make their case bluntly for fear of creating a stampede. To heap on the pressure, the talks leading to the prospective climate deal in Paris in December will debate whether fossil fuels can be completely phased out by 2050. Oil firms like Shell have stated their confidence in the energy status quo that has formed the economic bedrock of modern society and helped billions out of poverty. They say they see no risk to their business model (because executives privately do not believe that politicians will keep their promises on carbon limits). And they have hopes that technology to capture and store carbon will give their products a new lease of life. But the UCL team has more bad news: carbon capture technology, they say, is too late, too expensive and too inefficient. Some commentators argue that the world should continue to develop cheap energy and take a chance that we can adapt to whatever climate change brings. And leaders of the fossil fuel asset class, worth over $4 trillion, may be currently more worried by the plummeting oil price than the embryonic divestment movement. But campaigners believe tiny pinpricks like the one from UCL can ultimately deflate what they think is a great carbon bubble.